7:30 a.m. – 12:00 p.m.
CareCredit is a credit card specifically for your pet’s health care needs. Special financing and low monthly payment options are available. You can use your CareCredit card for routine check-ups or have it on hand for an emergency or an expected expense. Using CareCredit allows for care without compromise and peace of mind for your entire family. What does “Complete Care” mean? Complete health care extends beyond medicine. The health and well-being of animals depend on their medical, physical, emotional, and mental states. 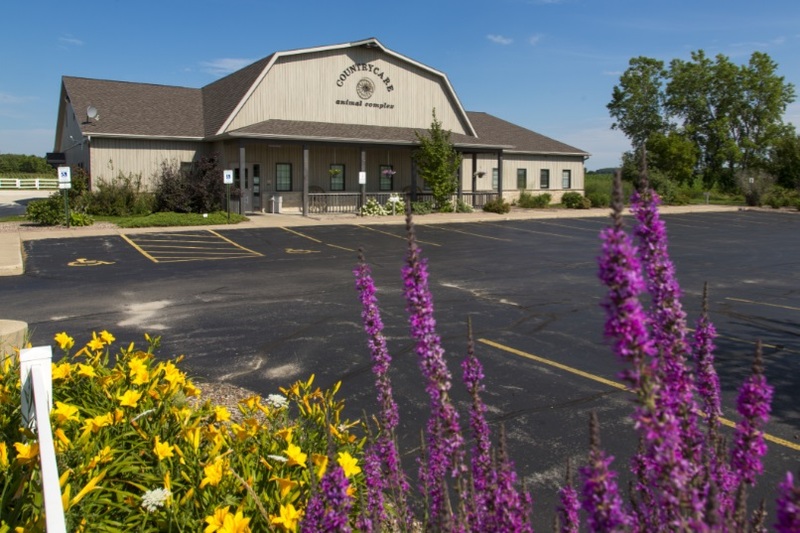 Countrycare Animal Complex addresses all of these components of care at one convenient location – from preventative veterinary care and routine medical, surgical and nursing care, to holistic medicine, counseling and education, and much more . . .
Our ultimate goal is to enhance the quality of your animals’ lives and help you enjoy these special members of your family. Why do you call yourself an “Animal Complex”? We chose the name “Countrycare Animal Complex” rather than ‘clinic’ or ‘hospital’ because we offer a complete care center for all moments of your animal’s life, not just when they are sick and need a ‘hospital’. "I am very happy with the care that Crystal receives when she comes to see you. Dr. Barr and Amber were kind and knowledgeable. They explained the treatment that Crystal needed."